.... Good morning! I'm back with another Christmas card. 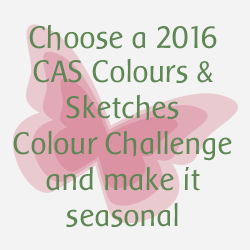 I've used the colours from the April colour challenge at CAS Colours & Sketches but realised that this might not be CAS enough for them. 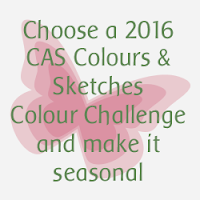 However, I will still submit to their current challenge which is to use previous colours and make them seasonal! This was fun to make. I used one of my all-time favourite techniques on this card - emboss resist. I just love the way the image appears as you add inks to the card. 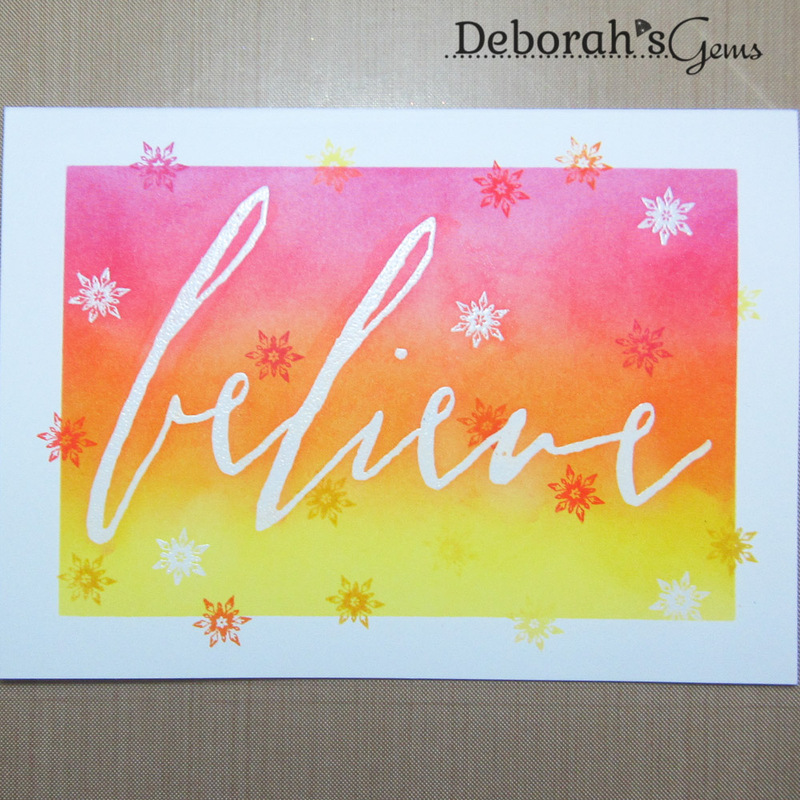 I started by stamping this large sentiment across the centre of the card and heat embossing with clear powder. 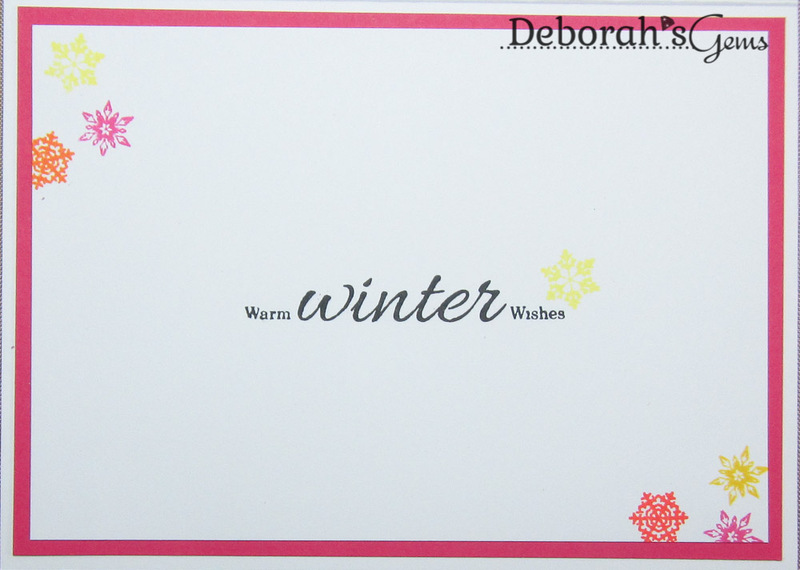 I masked off the edge of the card, stamped a few snowflakes in versamark and heat embossed them. Then I started to add distress inks starting with yellow at the bottom, moving through orange and ending up pink. 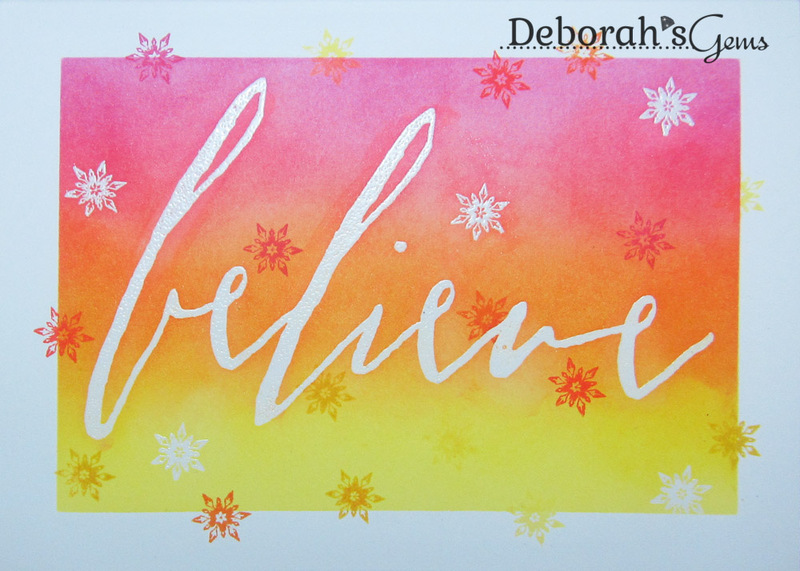 I removed the masking tape and then added more snowflakes using the same colour inks. On the inside I cut a mat layer of dark pink card and on the white panel I added a simple greeting along with some more snowflakes. I'm submitting this one to Addicted to Stamps and More! - ATSM#222 where this week it's MAKE YOUR MARK - I've certainly done that! I'm also playing along with Simon Says Wednesday Challenge where it's ANYTHING GOES. I'm also going to submit this to Less is More - LIM#304 where the receipe is to use EMBOSS RESIST. I'm sure this isn't clean and simple enough, but the idea came from their challenge!! I might try to make a really CAS emboss resist card today! That's all for now. Oh, you're on a roll with these colors, Deborah! I love the out of the box snowflakes! Thanks for playing along with us at CC&S! Wow Deb! How fabulously vibrant and fun! I love it. The colours are just gorgeous and the large, bold sentiment adds tons of impact. 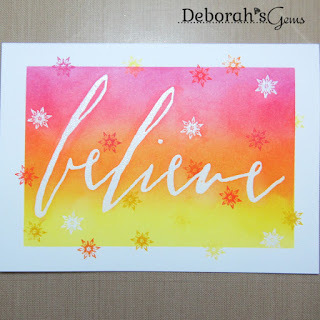 Perfect for our emboss resist challenge at Less is More - thanks so much for joining us!